It deserves credit for offering some semi-pro tools at an accessible price. Pinnacle Studio 21 Ultimate offers more options compared to other consumer video editing software packages we've tested, making it very attractive for amateurs looking for a bigger-than-usual creative toolset. The quality isn’t always there, but the quantity of features is welcome. Supported import and capture sources are broad, ranging from direct capture from your connected camera to DVDs and Blu-rays. You can, of course, import any video you want from your hard drive and work with that. But what really makes Pinnacle Studio 21 is its wide range of additional options. 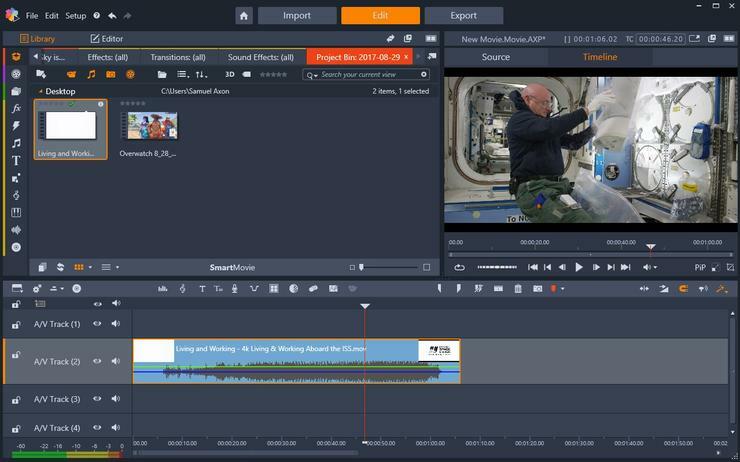 It supports stop-motion video capture from any connected camera, 3D, 360 video, and even multi-camera editing. Importing features are broad, and include some unexpected features. 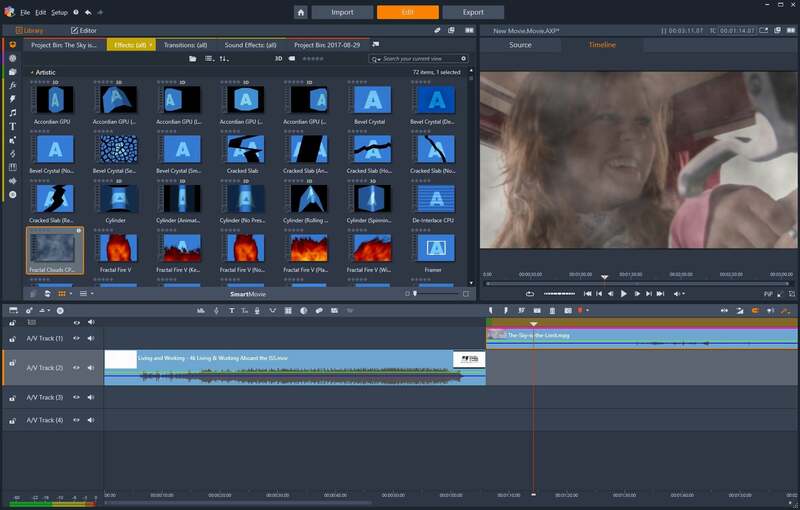 The selection of filters and transitions is also quite good for a consumer video editor, though their quality is not always as good as in other programs. For years, Pinnacle Studio was known for its less-than-stellar user interface. That has changed in a big way with Pinnacle Studio 21. It is now elegant and modern. It's mostly intuitive, and it comes with some solid tutorials in case you can't figure it out for yourself quickly. The interface no longer looks like it's from another era altogether—it's now one of the nicest-looking editors on the Windows platform. The effects and transitions libraries are large, but they’re not always executed perfectly. However, stability is the biggest problem with Pinnacle Studio. This release is more solid than some previous versions, but it still has issues from time to time. At one point it hard-crashed my computer while I was importing videos, and at other times it became sluggish performing tasks that didn’t challenge other products. It's not stable enough for heavy use, but it will do fine for occasional home video editing. 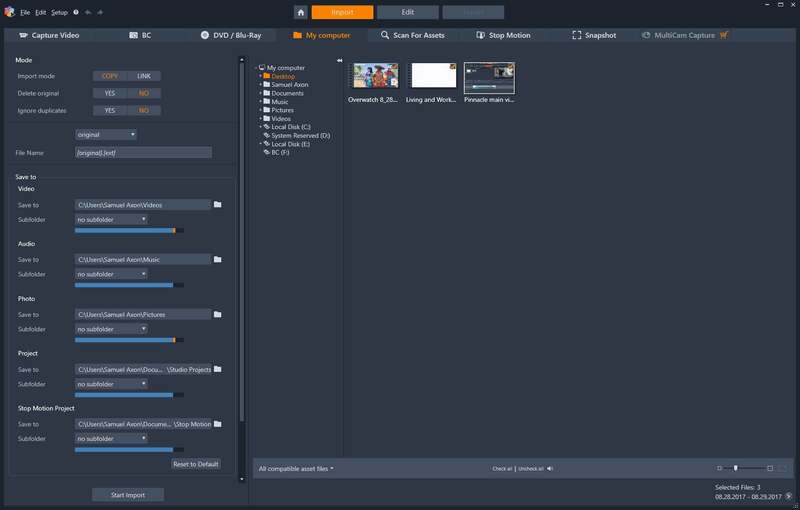 In the end, Pinnacle Studio 21 users are trading some stability for a feature set normally reserved for prosumer-level applications. At face value, it looks like a great fit for any amateur video editor who wants some semi-pro tools at an accessible price. It's too bad that bugs and crashes still arise in this release.